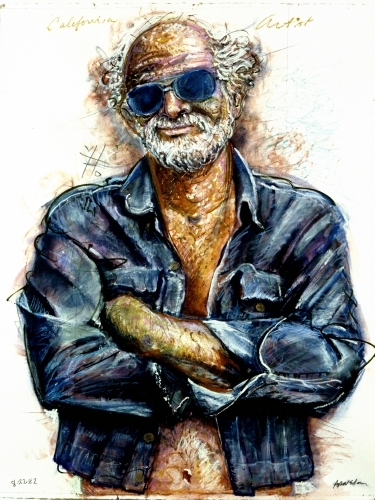 Did you know that April is National Older Americans Month? 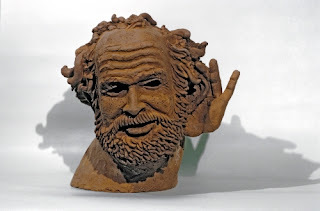 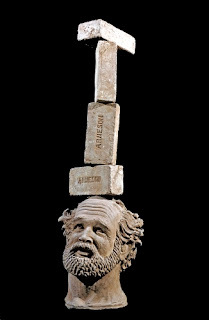 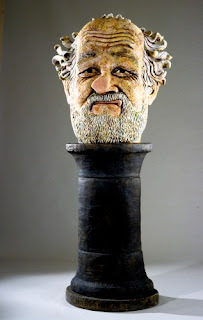 Robert Arneson died way too soon, and I’m not sure he’d appreciate me featuring him for this theme, but his work shows us how we look at ourselves aging. 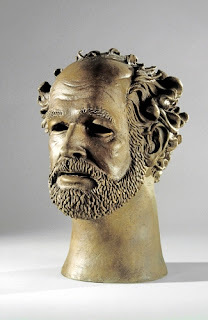 I think we always need to give a nod to the inevitable, and Arneson certainly did that in this work. 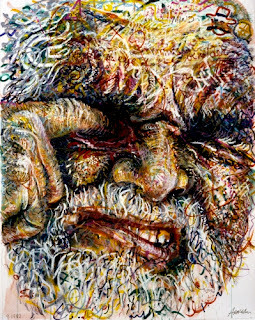 “California Figuration” was something of a rebellion against the East Coast dominance of Abstract Expressionism in the 1950s. Like Pop Art, it represented a wry look at American culture through recognizable commercial and social imagery. An off-shoot of California Figuration (as epitomized in the work of Elmer Bischoff and Richard Diebenkorn) was California Pop Art. Also called Funk Art, it emphasized the shoddy, bizarre, and tacky elements of modern American life. 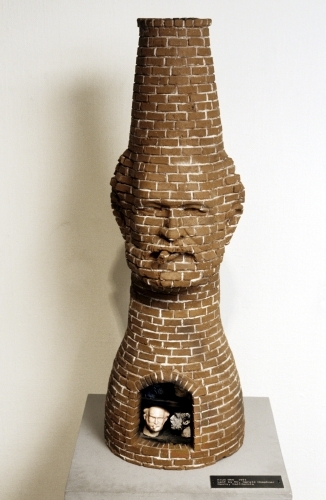 Born in Benicia, California, Arneson’s work was part of a ceramic art movement in the 1950s that eventually elevated the medium to the status of “fine art.” He produced a series of works—much in the spirit of Claes Oldenburg—that parodied diner food, consumer products, and items of clothing. 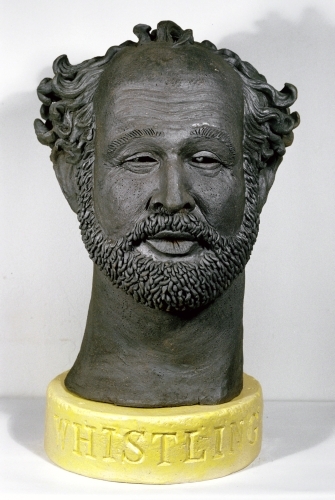 But, by far the most significant of Arneson’s work was his documentation of his own appearance over time through numerous self-portraits, often bearing ironic titles. 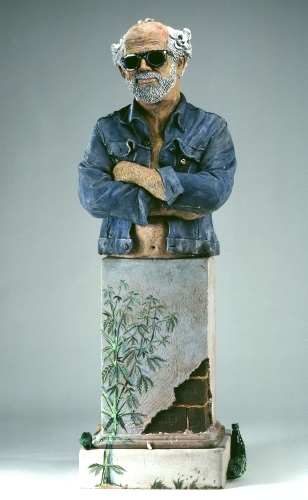 These self-deprecating biographies in ceramic led to the ultimate statement on California Figuration: Arneson’s self-portrait as an aging hippie artist. His unflinching realistic portrait of himself in denim jacket with pot growing around the pedestal is a tribute to his self-esteem as an aging artist. Many other artists through history have documented their growing older (notably Rembrandt), but none with more humor and irony that Arneson. This self-portrait was created as a response to a New York art critic who denigrated the “provincial” nature of art in California.